Syleena Johnson took to music early, growing up not only with a musical father, but also listening to influential artists such as Aretha Franklin, Al Green, Tina Turner, The Dells, and Mavis Staples. She would later apply this love of soul as a member of her high school gospel choir. But Syleena's road to music was hardly easy. Her father, Syl, was not encouraging, as his lackluster success with his craft led him to think little of the music industry. On top of that, Syleena suffered from vocal nodules and had to go through speech therapy. And when Syleena was 15, her parents split up. Despite these setbacks, Syleena's relationship with both her parents and her music remained strong: She contributed as a singer and songwriter on her father's 1994 album, Back in the Game. After having nodes removed from her vocal cords, she took two years of speech therapy. She has seven years of vocal training. All the hard work made Johnson one of her generation's most soulful and realistic R&B singers. That same year, Syleena Johnson began attending Iowa's Drake University, where she worked in classical and gospel choirs as well as jazz ensembles. Originally a psychology major, success at a talent show convinced her that her strength had always been in music. She switched to a music major and began recording her own songs. In 1996, she transferred to Illinois State University, and majored at music. In September 1997, Johnson met an assistant scout for Jive Records at a charity basketball game. That contact allowed her to send in a demo tape, which had an immediate impact; days later, she got a callback from a Jive executive with an offer for a deal. "That's a miracle," Syleena later observed. "Demo tapes don't get heard like that." The experience renewed her resolve. A hiatus from school in 1998 coincided with the collapse of her relationship with an abusive boyfriend. But the ordeal gave Johnson the raw material for her album, which traced a young woman's failed relationship and the healing that followed. The album, Chapter 1: Love, Pain & Forgiveness, was released in 2001. The album received much praise, but despite its No. 1 position on Billboard's Heatseekers chart the week of its release, the album was not a commercial success. 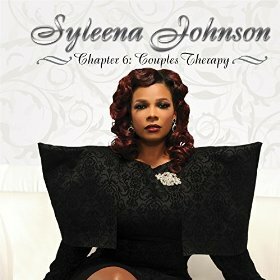 Syleena Johnson counted on her own honesty and real-life experiences to produce her compelling music. The young Chicago native confronted her own romantic pitfalls and coming of age story on her debut CD, Chapter 1: Love, Pain & Forgiveness (Jive Records), which featured guest appearances by blues guitarist Buddy Guy and contemporary R&B artist R. Kelly. Johnson's soulful rasp, reminiscent of old school R&B singers, set the tone for her confessional songs about the pain she endured in a bad relationship with a then-27-year-old man in 1997. Johnson grew from the experience and put it behind her, finding strength from a sense of forgiveness and from the spiritual guidance she received from God. In 2000, Johnson married a former college basketball player, Marcus Betts. Later, the two divorced in 2003. Johnson wrote all the songs on her debut CD except her first single, "I Am Your Woman," penned by R. Kelly. 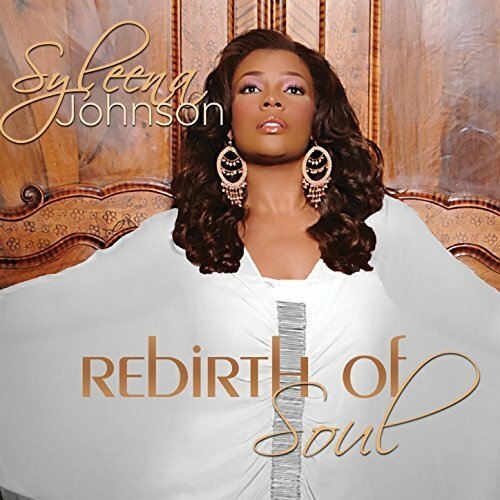 Johnson began writing songs for her debut CD at age 20 in 1997 and sent her demo to Wayne Williams, V.P. of Artist Development at the Chicago office of Jive Records. He signed her and paved the way for the release of her debut album in May 2001. Soon after, Johnson got to work on her follow-up album, Chapter 2: The Voice, which was released November 2002. Once again, the soulstress explored her personal feelings to find a thematic thread for the featured songs. This time, Syleena's shrinking self-esteem -- brought about by the lackluster success of her first album and problems with her weight -- provided the inspiration. Johnson realized that her strength came from her talent and her unwavering religious faith. Hence, The Voice is what keeps Syleena going. And as with Chapter 1, Syleena got some high-profile help like Busta Rhymes and his Flipmode Squad, who contributed to "Tonight I'm Gonna Let Go", that got airplay at urban radio stations. In 2004 Syleena appeared on the MTV Video Music Awards to perform "All Falls Down" her chart hit with Grammy winning rapper Kanye West. The video to the song earned both Kanye and Syleena 4 VMA nominations including "Breakthrough Video" and "Best New Artist In A Video". That same year she also earned a Grammy nomination and appeared on The Late Show with David Letterman. Syleena is a plus-size model signed with the Wilhelmina modeling agency. She regularly models for the Ashley Stewart chain, which is based in New York. Syleena is a member of Zeta Phi Beta Sorority. Currently, Syleena is married to basketball star Kiwane Garris and has one child, Kiwane Jr. She is working on her fourth studio album and has claimed this will be her best album yet.